American Crow, or possibly some kind of hawk?? I really don't know. This is hard. Rough-tailed Hawk? 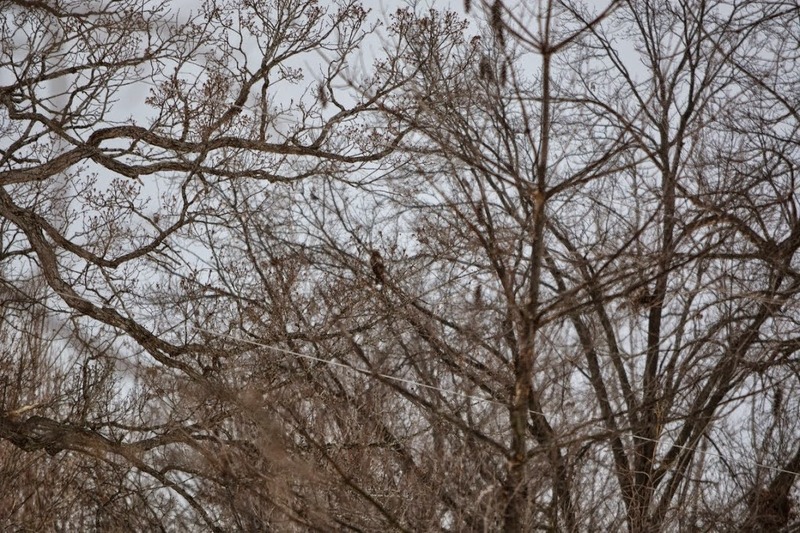 Is that a Red-tailed Hawk, Rough-legged hawk or a mix of both?? I don't think it's a hawk. Some sort of Owl? Notice those 'ears' at the top of the head.